Spring is on the horizon. 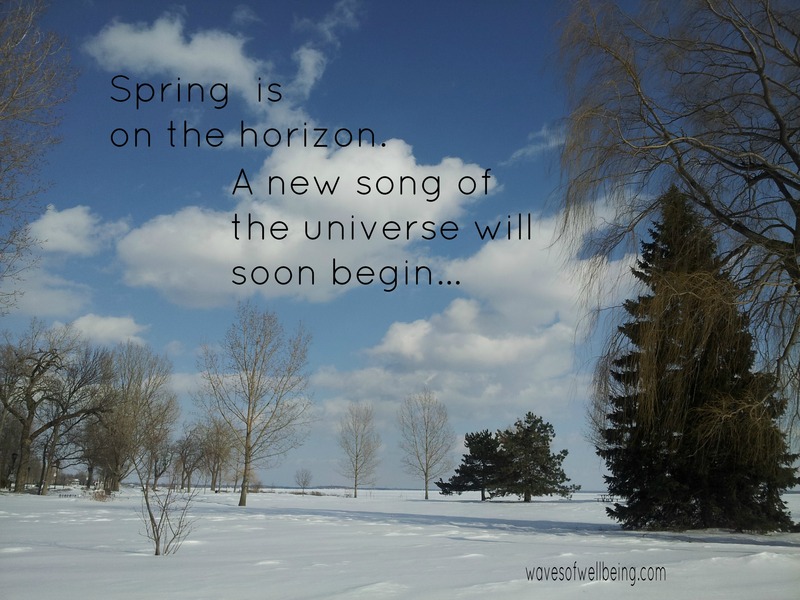 A new song of the universe will soon begin. FEBRUARY AND GOING FORWARDS OR BACKWARDS ? 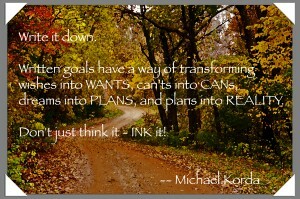 Are you moving forward with your goals ? 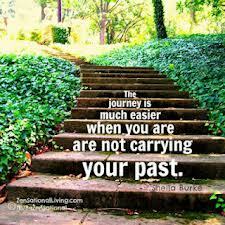 What things, issues, thoughts, or memories that might be keeping you in the past prevent you from moving forward ? What part of your life or where in your body might you be carrying these ? Would you like to try this goal exercise ? 1. List them – everything that may be keeping you in the past. 2. Trade them in for some thing that serves you in a more fruitful way. List those. 3. Now some nice big breaths, and ask yourself, where could those old ‘things’ go, if I was to let go ? 5. How has this changed your today and the future ? With grace and ease, enjoy your day and goals ! If you focus on your feet today and all that they do for you, your understanding of all that is in your life will grow. It will help to centre and ground you, great for busy minded people like me (all in the head) ! We have over 4,700 nerve endings in the feet, 44 acupressure points, one being connected to our source of our essence. Today, I invite you to give yourself a footrub, rub your loved ones feet, and be connected. Coconut oil, or olive oil works well if you don’t have any cream in the house ! I have a detailed protocol for at home footrubs, if anyone would like it. 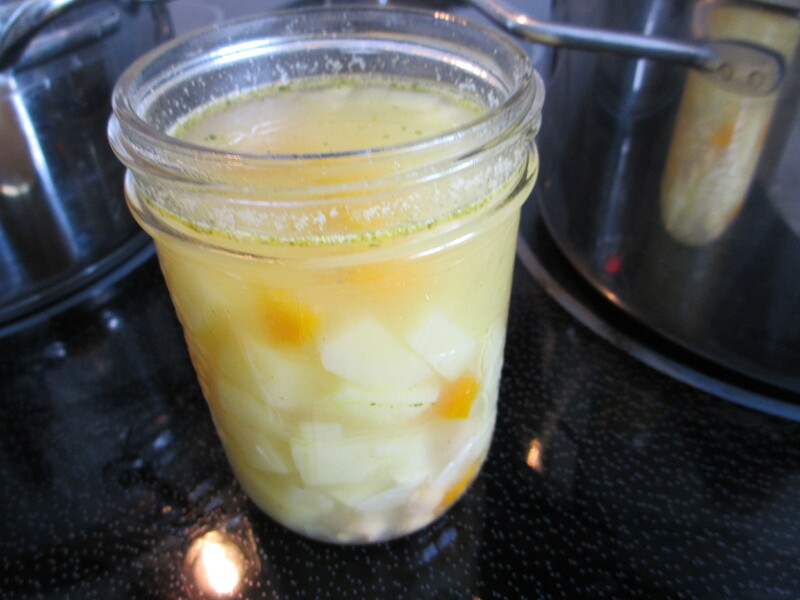 “How can I commit to my goal of preparing more soups ?”. “What does preparing them offer me, and my friends and family knowing there is plenty” ? 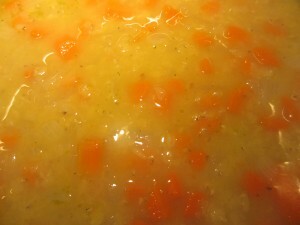 “When I nourish myself with these soups, how do I feel” ? Without thinking …. I knew, and I also had the energy and desire to prepare them. I knew the flavours needed, I knew the colour, the texture and what it would taste like. Without thinking, everything was in the fridge and cupboard that I needed. Intuitive cooking, works every time, and there are 2 soups that will give abundant energy for lunches over the next few days. 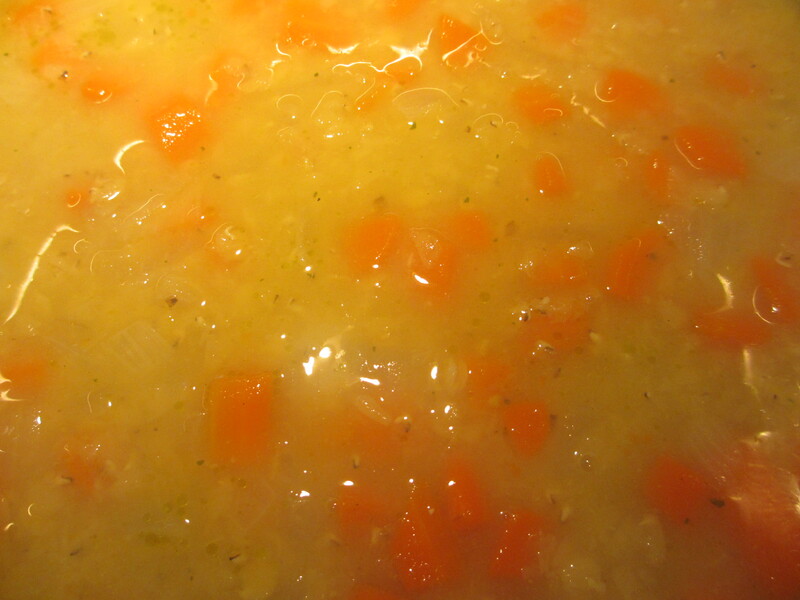 If you had a yummy soup for lunch, knowing it only takes about 20 minutes to prepare everything to go in the pot, and eat it, rather than take out food, or an extra cup of coffee, how would you feel ? Goals ! Did you forget to write it down ? The act of writing, and the energy associated with inking it, brings clarity and manifestation, especially when you need that 1/4 step forward. It helps to bring action, because without action, there is no alchemy. Especially if you are sitting on the fence or hiding behind the computer. Or staying inside on these polar vortex days, hmmmm, yes thats me too. What IS one of your goals, and how are you digesting it ? Your goals, the information that filters through, and your digestive system are all connected. Food for thought, isn’t it …. If you have participated in day 1, you will have at least one goal for February, to celebrate by the 28th ! What in your life or home could use some decluttering or organization ? Is there one element that you could spend some time today working on that ? Lets set a time in today’s agenda. 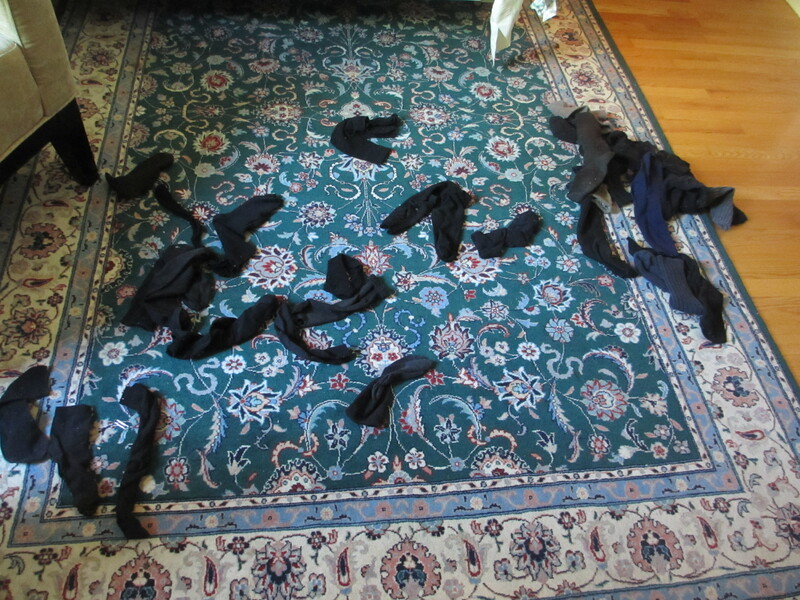 For example, I’ve been saving socks that ended up as single lonely entities, crying for their mates and sitting in a grocery bag. I would probably wait until the cows come home to find their mates. Some are useful for dust rags, or for a craft, but knowing myself, the craft is not on my list, and therefore …. the rest are going into the compost … the cotton ones can be composted if you cut them up, thats even better. The rest are going back to source ! What can you declutter today ? A timer, a song, a buddy is helpful to keep other distractions out of the way. Need accountability, or to share what you can declutter today ? 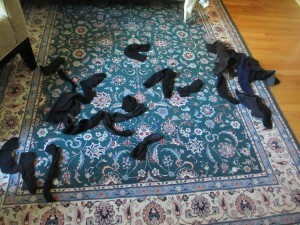 Lonely Socks crying for their mates. Alright ! February is here, and my game of goals through post it notes is starting. Would you like to walk with me along a 28 day fruition journey, envisioning a select goal, or a few, and the transformation to the other side of that goal. One of them could be ….. I have not time to cook ! The tips in general and self reflective questions will help you with this goal too ! Here is what I have done and if you’d like to play, I’d be so happy to have you join me. Its a great strategy, and I love post it notes. They work for me, as a visual person, and then when I write, it becomes even more of a focus too. Does that work for you ? a) I chose 5 elements in my life to work on for this month, that are specific, and within reason. 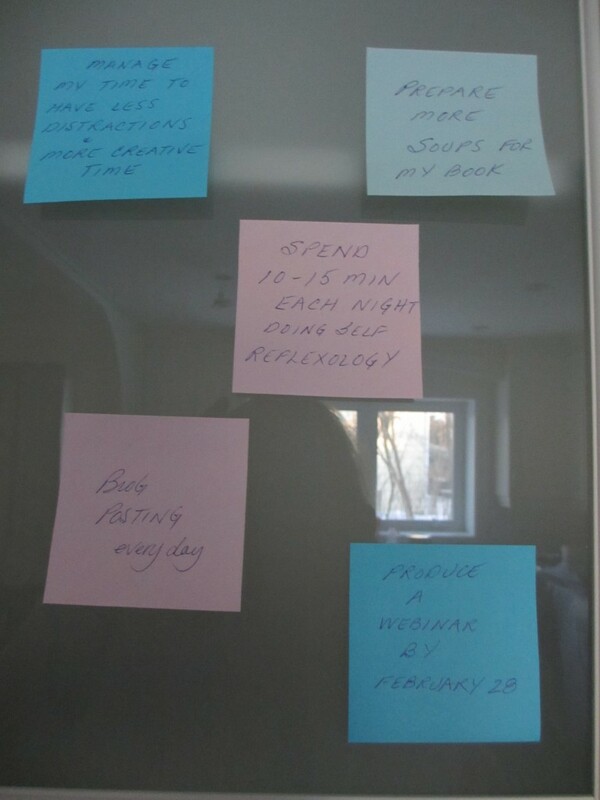 b) I wrote each one on a post it note (1st photo) and stuck them to my kitchen cupboard. 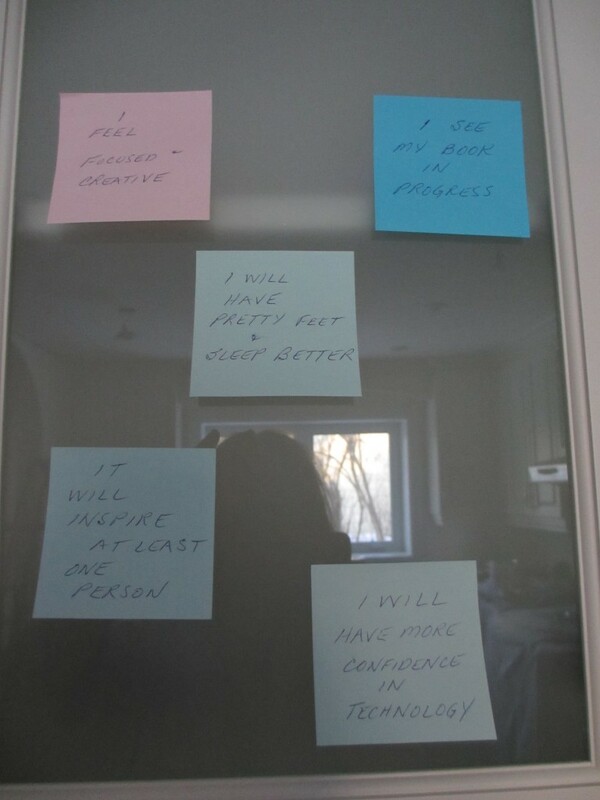 c) On another post it note, for each goal, (2nd photo), I wrote the outcome that I envision. d) In a journal, I also wrote each goal, or element that I wanted to change/accomplish, and each day I will write at least one sentence relating to that goal and why it is important for me. e) As each goal comes into fruition, replace it with the outcome post it note and celebrate yourself with a thank you, or the word(s) that resonates with you the most. If the goals are within reason, inherent to you, and important enough, you will be the change you wish to see. I’ll be blogging every day, unless I turn into an icicle, if only one sentence, as that is one of my goals. On that note, I invite you to play along and share your goals, reach out for help, accountability, or stuckness. with ease and grace, enjoy your month ! NO TIME TO COOK ? This is post 1 of No Time to Cook, and tips to find that Time ! The general complaint I hear when I ask the question, “How much time do you spend preparing home cooked meals during the week”, is “I don’t have time to cook”. I don’t have the energy to cook when I get home from work, school. The kids kept me up all night, I’m tired. I had laundry to do instead. I am too rushed in the morning to eat breakfast or prepare a nourishing lunch. Nevermind travel, that’s another subject. Rolling along the highway, hungry and nothing but row after row of fast food eateries. Time…it is such an interesting material and I’d like to help you by offering some tips on allowing yourself more time to cook up some fabulous simple meals. 1. Schedule time, just as you do for dentist, doctor, appointments, for meal planning and preparation. There is no difference, meal planning is just as important. 2. Grab a pen and paper and answer (to yourself) …. What is getting in the way of me preparing nourishing food at home rather than eating out. 3. Now draw a line to have 2 columns, with two headings. How do I feel when I eat out ? How do I feel when I have delicious home cooked food ? That’s a start and to keep the post simple, I’ll return tomorrow, February 1st. If you’d like to leave a comment on where you might be stuck, or the reason you don’t have time, I’d love to hear from you. 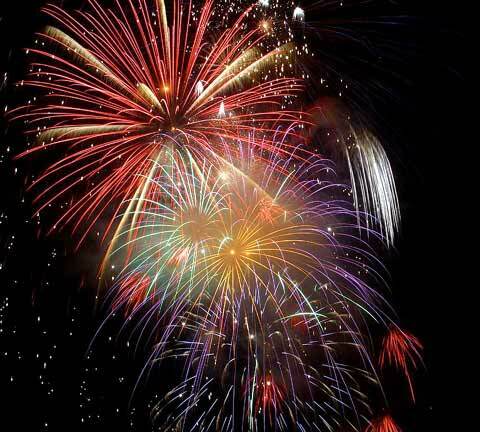 Firecracker Blessings to All ! Resolutions, resolutions, re-solutions. We make them, we write them, we try them, we celebrate them and then forget them. The approach to resolutions is something that has hit me on the head year after year and it still astonishes me why it has to be at the New Year, a Monday, a new week or a new month or usually following some type of agenda that is related to time, and why does it have to be a RE solution ? I like solutions. What happened to starting a resolution at the very moment a choice is made to resolve an old situation into a new resolution. I personally have made resolutions, 6 days ago, and they have all gone by the wayside already. Figuring out that changes and resolutions need to be a commitment in small steps, rather than leaps of years is the approach I will take this year, and give a new meaning and depth of what resolutions will produce. What value will it serve ? This is the goal of the resolution, and knowing the difference. How one gets there is the trick to finding a solution, a REsolution, and looking at the whys and ways of why our resolutions don’t work and finding a new solution to an old resolution that didn’t work before, that relates to frame of mind rather than time is my new way to go. Actually its not new, but I stand tall and reach the sky and make it new ! Small steps at the time of a choice is the new way to go, and finding a new solution and not a ‘why’ the old resolution did not work and not letting discouragement take any power over trying again. Small changes for mediocre steps lead to ….. Medium steps for big changes, which one is it going to be today ? “What am I able accomplish in the next few minutes, hours, the whole day that I choose to resolve only today and that I am physically, mentally, emotionally, and spiritually capable of ……. Then …. I will take a few minutes to envision at the end of those few minutes, hours, or at the end of the whole day, that feeling, that sensation, whatever it is I choose to feel, of accomplishing that which I choose to resolve. It’s all about baby steps to resolutions, and finding new ways to get there …. the old ones didn’t work.